Orchids have a love/hate relationship with fungi. Many people know that orchids developed their amazing flowers to attract very specific pollinators in the wild, but fewer people are aware of the plant's relationship to various fungus. After pollination, an orchid plant produces a large seed pod. This seed pod is filled with thousands or even tens of thousands of tiny seeds. In general, plants have two strategies with seeds: they either produce very few large seeds that are loaded with food and nutrients to help the seed germinate, or they produce many smaller seeds but invest less in each seed. Orchids are definitely among the latter group: their seeds tend to be tiny, vulnerable little packets of cells that can't even properly germinate on their own. After an orchid seed is released from its seed pod, it floats on the wind until it lands in a suitable location. Once there, the seed must be colonized by a specific kind of fungus. The colonized orchid seed destroys and digests the fungal, drawing enough energy from it to begin germination. So it's fair to say that orchids would not exist without fungus. In cultivation, however, various fungi exact a terrifying revenge: they are among the most common killers of orchids. 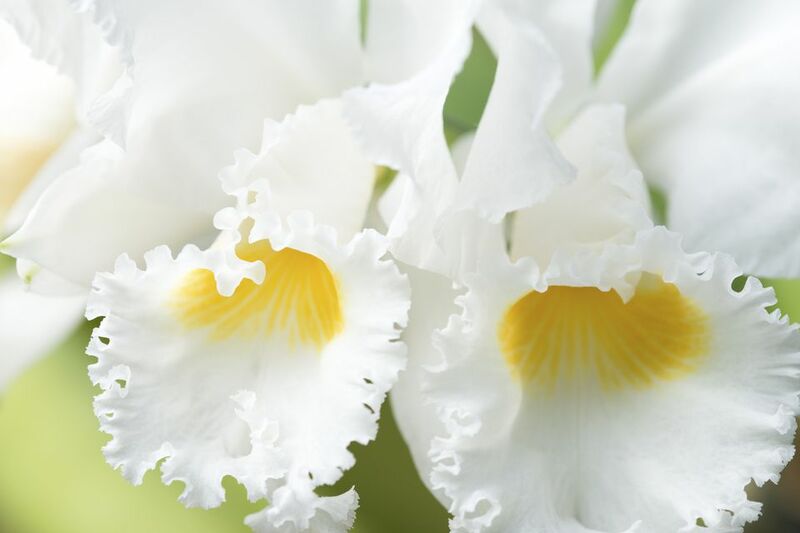 Orchids are susceptible to some fungi, including Pythium, Phytophthora, Rhizoctonia, Fusarium, Anthracnose, Botrytis, and Cercospora, among others. These fungal agents attack various parts of the plant, including roots, stems, leaves, and flowers. Destructive by themselves, fungal attacks also leave the plant vulnerable to opportunistic infection by bacteria. Why Is Fungi an Issue? Part of the reason fungi is such a problem in orchids is because they naturally thrive under the same conditions that many people assume orchids like wet, humid, and still. This, however, is something of a misconception. Most orchids we grow are canopy plants, not swamp plants. They rely on good air circulation and drying periods to stay healthy. So the first and best defense against fungal attacks is cultural: don't let your plants stay wet, never head into a night with wet plants, and provide plenty of strong airflows to keep your plants healthy. That said, however, most orchid growers will deal with some fungal infection at some point, especially the annoying black leaf spots that disfigure our perfect plants. In most cases, these infections can be successfully treated by spraying early with an effective anti-fungal agent. What Are the Little Leaves Growing from My Phalaenopsis Orchid Spike? Why Are My Houseplants Dying? Why Are the Leaves Falling off My Houseplant?